Our Services - Enlight Energy Efficient Lighting, Inc. These facilities are often lit with metal halide or high pressure sodium fixtures. We can replace them with high efficiency fluorescent fixtures and save more than half the energy cost. The improvement in light quality is amazing. 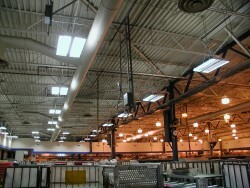 Occupancy sensors turn off lights in unused aisles. Retail Stores have special lighting needs. The most important job of the lighting is to sell merchandise. Energy efficiency, while important, must always come second to sales. 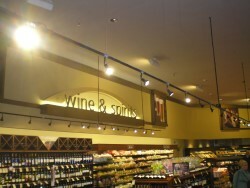 The newest lighting products improve the look of the store and merchandise while saving energy. Store lighting tends to be on many hours per year, so the payback for a lighting project can be short, even if a prior lighting retrofit project was completed as little as five years ago. While many office buildings were retrofitted with T-8 lamps and electronic ballasts in the 1990's, new lighting technologies provide additional energy savings of 30% while retaining light levels. Occupancy sensors, indirect lighting, parking garage upgrades, and landscape lighting improvements are all examples of possible lighting energy savings projects. 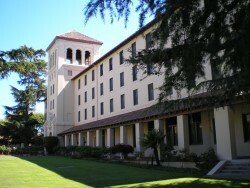 Enlight has performed lighting upgrades for Stanford University, San Jose State University, San Francisco State University, Menlo College, Cal State University East Bay, and Santa Clara University. Energy saving upgrades include T-8 retrofits, gym lighting changes, occupancy sensors, and exterior lighting. 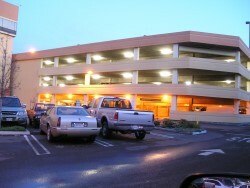 Because most parking garages are lit 24 hours a day, all year long, they present great energy savings potential. High pressure sodium or metal halide fixtures can be changed to high efficiency fluorescents with improved light quality and quick paybacks. 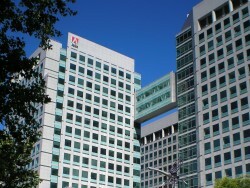 Sensors further improve the energy savings.